Updated and revised for a new generation of couples, David Bach's classic money guide teaches couples how to build stable financial wealth that lasts. David Bach, nationally renowned financial advisor and author of the bestselling Smart Women Finish Rich, knows that it doesn't have to be this way. After years of first-hand experience working with couples young and old, David Bach reveals that through communication and partnership, planning your finances together can be both fun and easy when you have the right tools. 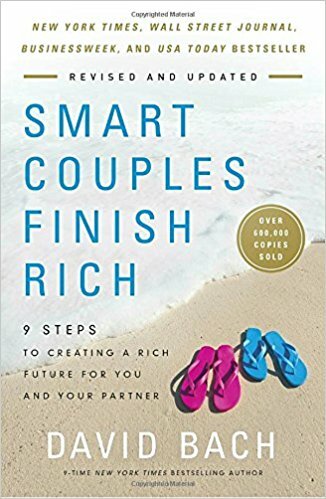 In Smart Couples Finish Rich, Expanded and Updated, David Bach offers couples a step-by-step guide to building and maintaining financial wealth that has been tailored to fit our current economy, but will last for years to come. Instead of avoiding each other when it comes time to balance the checkbook, you and your partner will learn how to come together and identify your core values and dreams, creating a spending and saving plan that reflects your values as a couple. Packed with easy-to-use tools that will take you from credit-card management to long-term care, each chapter will guide you and your partner as a team toward a more rewarding financial plan based on the same overall financial objectives. A book for couples of all ages and all tax brackets, Smart Couples Finish Rich is the ultimate guide for creating a lifetime of wealth both personal and financial.